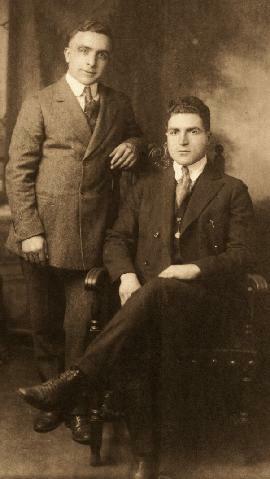 Born in Sis, Armenia in 1894, Hachadoor Tulanian immigrated to America in 1911, settling in Pittsburg, Pennsylvania. It was there that he joined his brother, Mamigon, who had arrived a few years earlier. Both had acquired a knowledge of rugs as young boys in Sis, where rug weaving was a common trade. Hachadoor and his brother spent the first years working for a local rug dealer, but anxious to have a store of their own, they soon purchased an established rug company by the name of Allen Rug. With limited funds, the early years were focused on cleaning and repairing. 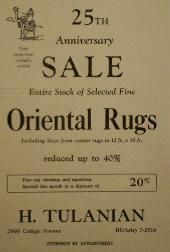 Over time they built enough capital to stock an inventory of rugs and expand into the retail market. It was during this time that Hachadoor acquired a reputation for superior workmanship and integrity that would follow him throughout his years. In 1917, Hachadoor joined the U. S. Army, serving until 1919. 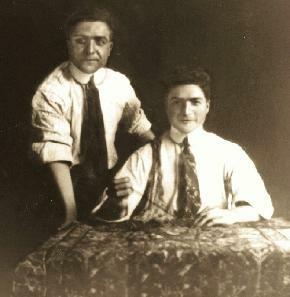 He returned to his business with Mamigon until July 1922. It was then that he and his new bride, Zabel, headed out West to California on a two-month road trip. They developed a particular fondness for their last stop, San Francisco. It had the look and climate of their homeland and they decided to stay. They planted new roots just outside of the Golden Gate City in a community across the bay, Berkeley. 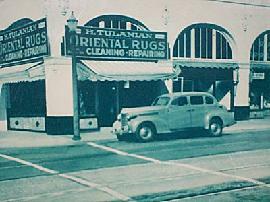 H. Tulanian-Rug Dealer on College Avenue in the historic Elmwood District of Berkeley. The Avenue was still in its early stages of development at that point. However, with his knowledge of rugs and prior experience of owning a business, he quickly established his trade. In 1926 he purchased the majestic blue and gold building with arched windows and moved his establishment a few doors down to the corner of College Avenue and Webster Street. Four generations later, the business continues to operate there. 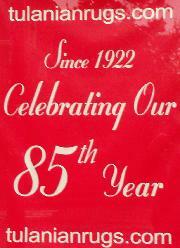 In 1997 Gary Tulanian and his sister Jane Tulanian took over ownership of the business. Working at the store since their teens, they have become experts in cleaning and repairing Oriental rugs. Their niece Kristen also joined as a teen and has a natural talent for repairing. Jane and Gary are honored to continue the legacy of their grandfather and know that he and Zabel would be proud that H. Tulanian & Sons is four generations strong.